mm444: End the madness – we need Cuba now! If biofuels make any sense at all, and the jury is still out on that one outside the White House, and the state of Iowa, ethanol made from sugar cane rather than from corn has already been shown to be far the better choice. A prime source of sugar cane, that, if developed, would become the third largest source of ethanol after the U.S. and Brazil, is a mere 90 miles from our shores, in Cuba. One of the last vestiges of the long since over 50-year Cold War is the United States’ odd non-relationship with the nation of Cuba. 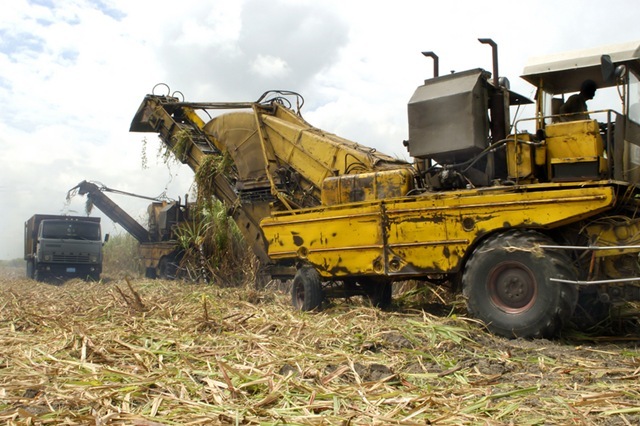 Let’s seize the potential of the nation’s sugar-based ethanol — before China beats us to it. July 18, 2008 | Listening to the mouthpieces of the oil industry on talk radio and cable television — as well as in the Bush White House — one gets the impression that we must start drilling in America’s coastal waters immediately. If only we unleash the oilmen to explore and exploit, then the price of gasoline will start to fall, the scheming petroleum cartel will collapse, and the United States will be independent once again. And if we don’t unleash the oilmen, then the Chinese communists will siphon off all the oil from the coast of Cuba before we can even launch a rowboat into the Caribbean. None of that is true, of course. Producing oil from new offshore wells requires decades, and even when those resources come online they will have little impact on world prices, according to the government’s own studies. Fouling our shores with clots of tar will bring us no closer to freedom from foreign oil in the near, medium or long term. And that tale about the Chinese drilling off Cuba is a hoax designed to gull the public into supporting the repeal of laws that restrict offshore drilling. But the phony Cuban oil story raises a pertinent question. If we really want to free ourselves from the death grip of the oil-exporting countries, maybe we should lift the embargo on trade and investment in Cuba. Tiny Cuba’s potential as a military threat was always solely embodied in its client status of the Soviet Union; once that entity dissolved, only political pandering to the rabid exile community in South Florida has sustained the embargo that has left Cuba with its oddly photogenic collection of vintage 1950s American automobiles, and little else of economic substance. But sugar cane has always been at Cuba’s agricultural heart. And Brazil has shown the world (outside the U.S. where its own sugar lobby has successfully blocked importing cost effective Brazilian sugar and sugar based ethanol) that sugar is a much more efficient source for the manufacture of ethanol than is corn. Further, while some of our own links above make it clear that using corn to create fuel may be distorting food prices and causing global starvation, sugar from cane is far less important (qualitatively) to the food supply; its empty nutritional calories might as well be repurposed toward internal combustion engines. As Joe Conason makes his case in Salon, sugar ethanol is one more good reason to normalize the Cuba-U.S. relationship. And the Miami exiles could console themselves by taking advantage, as could the rest of this country, with less costly, less politically dangerous, fuel for their commutes. And what cigar smokers remain in this non-public smoking era would finally be able again to directly and legally import those other greatly desirable Cuban agricultural assets, their H. Upmanns and Cohibas. Seems like a win <cough> win to me. This entry was posted on Saturday, July 19th, 2008 at 5:21 pm and is filed under ethanol, Geopolitics, Politics. You can follow any responses to this entry through the RSS 2.0 feed. You can leave a response, or trackback from your own site. 3 Responses to mm444: End the madness – we need Cuba now! The best way to end the trade embargo is to go after its corporate sponsors. Do you know that Bacardi was (and continues to be) one of the main supporters of the embargo? They even drafted legislation to extend it in 1996. If the US doesn’t lift the embargo themselves we need to hold the corporations that fund it accountable! Vadim, thanks for illuminating the rest of the story. Always appreciate the input. Clooney, 52, was to you’re wedding briefly inside 1990s nevertheless the marriage lost in divorce proceedings. She has considering possessed a lot of associations having lovely women yet possesses shown absolutely no involvement in remarrying. They are now internet dating Stacy Keibler, the Usa occasional actress along with previous skilled wrestler.